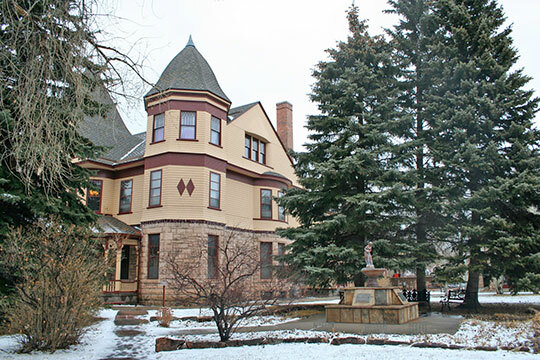 Photo: Ivinson Mansion (Laramie Plains Museum), ca. 1892, 603 Ivinson Avenue, Laramie, WY. Listed on the National Register of Historic Places in 1972. Photographed by User:Cogdogblog (own work), 2007, [cc-by-2.0 (creativecommons.org/licenses/by/2.0)], via Wikimedia Commons, accessed October, 2015. The Albany County Courthouse is located at 525 Grand Avenue, Laramie WY 82070; phone: 307-721-2541. The county was created in 1868 from part of Laramie County. A member of the legislature of the Dakota Territory named the county for Albany, New York, the capital of his native state.